Pepi Bertini, located in Coral Gables, was established in 1985 and has been the premier location in Miami for quality bespoke custom clothing for men and luxury goods for decades. Whether it’s looking sharp for an upcoming wedding or wanting to make an impression in the boardroom or courtroom, Miami’s most accomplished movers and shakers choose Pepi Bertini for their clothing needs. Vote for Pepi Bertini as Best Men’s Clothing Store in Miami, in Miami New Times’ upcoming Best of Miami issue! Voting ends 5/29/2018, and issue hits newsstands in South Florida on June 14th. 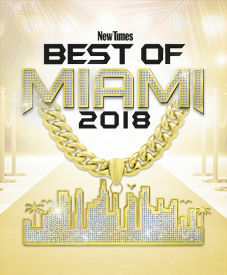 Visit http://readerschoice.miaminewtimes.com/ to vote today!